Industrial Strength Records presents one of our most contagious loop packs yet: Electro Tech was built from scratch by slick-witted producer and DJ Edvin Alperavitch, whose agile studio and live skills have lately been pummeling dance floors worldwide with his unique blend of Big Room Electro and Tech House. 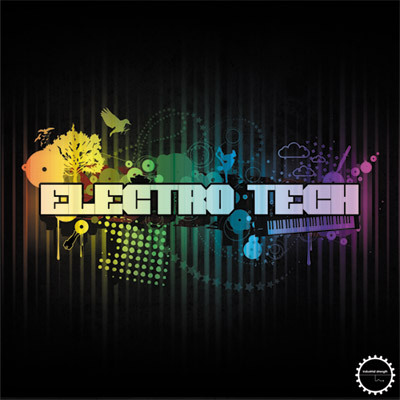 Electro Tech mashes and refines the most captivating traits of these genres, making it a fantastic fit for laying down the foundation to the finishing touches of Big Room tracks, Techno, Progressive House, Psy Trance, and any blend of current dance music. We crammed this pack with more than 200 of Edvin's original 4-bar loops, winding his sonic sensibilities, unstoppable energy, and most recent explorations into tight clusters that morph and take shape along lives of their own. Unleash a cohesive choice of pulsing drum loops, subsonic bass loops, and enticing melodic loops, as well as swarming effects, swooping synth leads, and modern riffs — a full suite of sounds perfect for novice DJs and producers looking to quickly construct new tracks like second nature. We couldn't have made it any easier to progress from DAW to dance floor. Electro Tech is formatted in Acid wav and Apple Loops. All samples are 24-bit, 44.1 kHz files to bring you nothing short of top-notch audio clarity. As a bonus, we've also compiled a hearty Kontakt kit of exclusive effects, so you can sample the weirder side of Edvin's brain-tingling explorations and take your listeners' ears for a spin. Electro Tech even includes a slew of midi files to expand the potential of this pack even further. A surefire way to rev up your studio play, this pack of creative essentials is waiting to be let out and reassembled from the ground up. Once you get cracking and realize its potential, this fervent audio collection will be clawing at the door of your studio in anticipation of being heard.